Remington is a 16.3h, 2003 AWSSR gelding by Innkeeper x Consul. He is schooling PSG with easy lateral work and easy changes. Remington is exceptionally kind, forgiving, and steady, he is a total “packer.” Easy in the contact, easy to sit, and easy to do the movements, with an excellent work ethic, he is the ultimate schoolmaster! 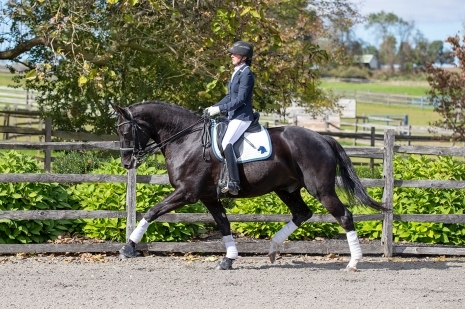 Remington is AA friendly, and would be suitable for a Jr/Yr or Para as well.